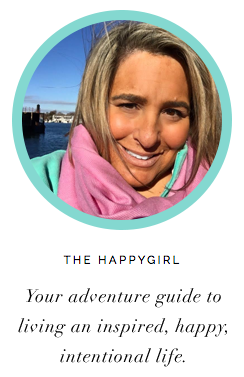 As part of The Happygirl Experiment, one of my goals is to find the perfect things, the products that work, that make my life easier and make me happy, so I can share with you the things that will make YOU happy. I feel a little bit of a win when I try something and it does exactly what I expected it to. I may be partial to this next perfect thing because I am from New England but Dunkin' Donuts is the perfect coffee. If you don't live in an area with a Dunkin' Donuts (like here in Seattle) you don't know what you're missing. It's part of tradition if you live in Dunkin' Donuts land. Living in Massachusetts a right of passage is getting your driver's license and then going to the Dunkin' Donuts drive-thru to order a 'coffee regular' (cream + sugar). It's simple and it's perfect. The balance of the coffee with the cream and sugar is perfect. It's literally perfect. Dunkin' Donuts is what you drink on a Saturday morning in college when the most wonderful friend in your dorm does a DD coffee run. When you have kids or you visit someone with kids you surprise them with Dunkin' Donuts pink frosted donuts and you're a hero. Dunkin Donut K -Cups are available in select stores five flavors: Original Blend, Dunkin’ Decaf, French Vanilla, Dunkin’ Dark Roast and Hazelnut.